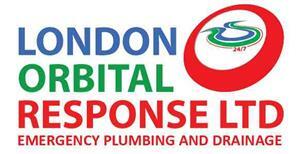 London Orbital Response Ltd - Drain/Sewer Clearance, Plumber based in Statford, Greater London. Invoice history based on 278 reviews. We are there when you need us, ready to take care of any problem that you may have with your plumbing or drainage systems. That is why when you call, we will arrive when you need us with a skilled service engineer and a well stocked van ready to troubleshoot, and repair your plumbing or drainage problem on the spot. We also have available to us a full line of replacement products if you want to upgrade or update. Also quotation's for Full bathroom installs (right down to the last tile).